Search for events by date, topic, or credential. 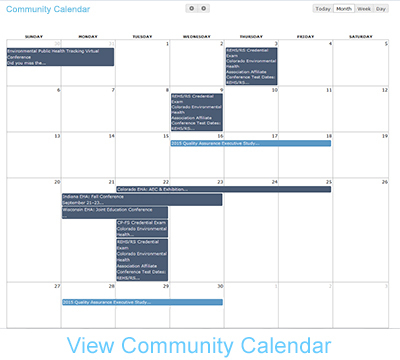 Affiliates, Members, and Partners, you may post your environmental health events on the Community Calendar. The NEHA 2019 Annual Educational Conference & Exhibition brings together environmental health professionals from around the globe to learn and discuss current and emerging environmental health topics and issues. Discover how the local voices of agencies, industries, and levels of government provide unique perspectives and how they fit into the universal language of environmental health. Learn how these voices ensure the safety of the public and environment, and how they contribute to the advancement of the environmental health profession. 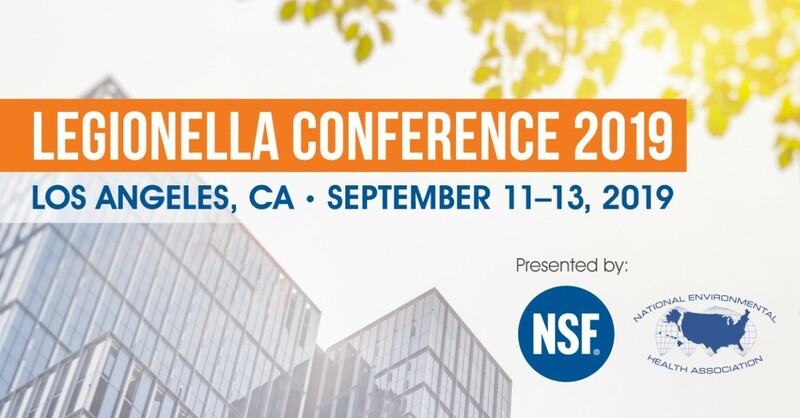 The Legionella Conference, hosted by NSF International and the National Environmental Health Association, is a unique, annual event that focuses on emerging issues related to building water systems - and brings professionals together to work toward solutions. The Legionella Conference 2019 theme, “Building Water Systems: The Sustainability and Public Health Nexus,” centers on how both industries can help align water and energy sustainability and public health goals.